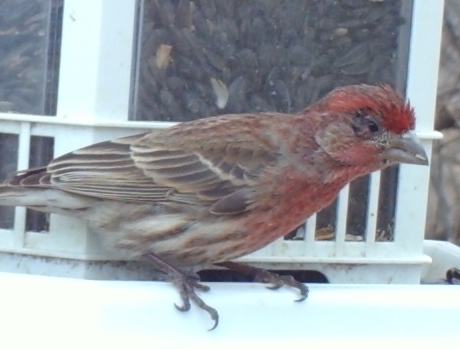 Copper Roof Bird Feeder by Christmas – Gift Ideas 4-12! Oooh man, the elves have been busy! For anyone following the gift ideas, so sorry we dropped the ball, but getting gifts out the door for timely delivery was far more important! 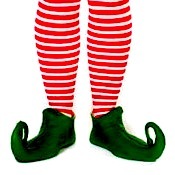 And speaking of timely delivery: If you happen to be local in the Atlanta area, our elves will be delivering on Christmas Eve too! So it’s not too late to procure a smashing gift that not only lasts a lifetime, but promises wide smiles as well. 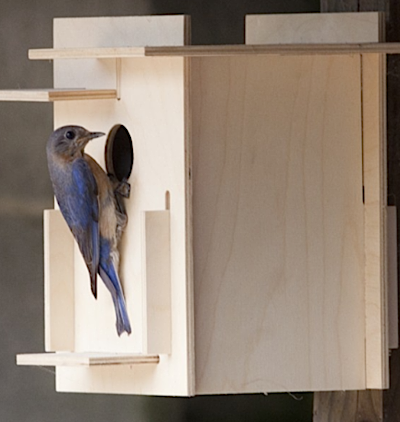 YOU CAN STILL GET IT BY CHRISTMAS: Simply order a copper roof bird feeder (or dovecote birdhouse) by 2:00 p.m. Thursday afternoon… and receive it in just a few hours! The sleigh is packed, and the reindeer and helpers are ready to deliver some major cheer! We’re not sure who in their right mind would brave the mall or stores tomorrow? Especially when a most awesome gift will magically appear on your door step! Well, maybe not that magic… you do have to pay for the item… but local and timely delivery is on us! Nine ladies Dancing the nine fruits of the Holy Spirit: Love, Joy, Peace, Patience, Kindness, Goodness, Faithfulness, Gentleness, and Self Control. Twelve Drummers Drumming the twelve points of belief in the Apostles’ Creed. Not too shabby for a jew, huh? But pretty sure somebody messed up those last two icons! Religious persecution (what a surprise) spawned the carol, and history says from around 1558 until 1829, Roman Catholics in England were not permitted to practice their faith openly. The famous song was written as catechism for young Catholics during the holiday season. With two levels of meaning: the surface, plus a hidden meaning that was only known to members of the church. Each element is code for a religious reality which children could easily remember. 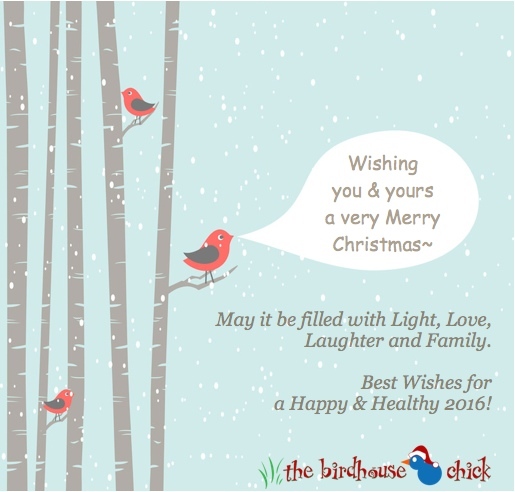 filled with light, love, laughter, family… and birds! For the next 9 days or so, we’re suggesting some swell gift ideas for nature lovers on your list! Each icon representative of the Twelve Days of Christmas – at the end of the post, see the true meaning of the words to the carol. 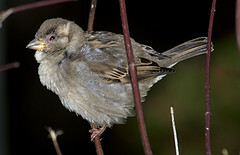 Since the festive tune features 6 days of birds… we deemed it most appropriate for the season! 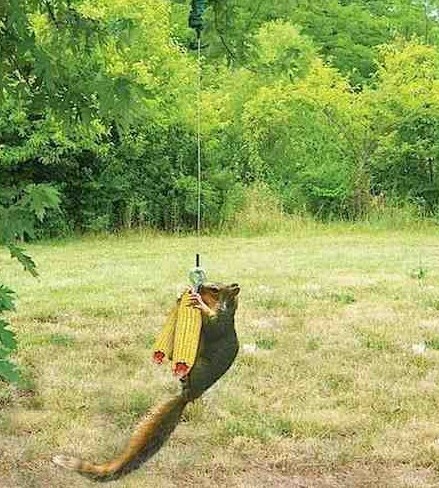 Since the dawn of feeding wild birds, squirrels have been a big part of the picture! Love or hate them, there’s actually an easy solutions to both sides of the coin. Although a nightmare for some, many folks adore the critters and their antics and actually feed them, squirrels even have their own dedicated national holiday! 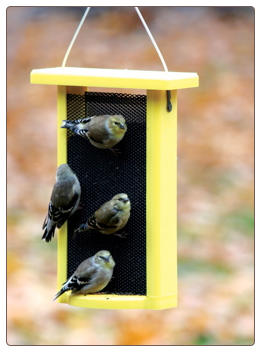 Squirrel feeders provide hours of entertainment for hosts and users, and they help deter said users from raiding bird feeders. For a really special treat, you can smear some peanut butter on the corn. The extra fat and protein keeps critters warm overnight. 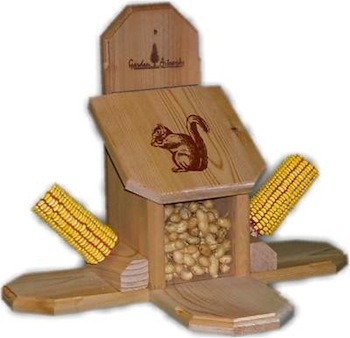 Several fun squirrel feeders are in stock for immediate shipping; ones that spin, the classic table & chair, the popular bungee cord, and this groovy combo feeder for corn cobs and peanuts. The latter being for gourmets only! It’s a fun & functional gift that gives back, it gets used everyday and provides some real entertainment. Three down… with 9 more fab gift ideas coming! Okay, the 3 French Hens: symbolize faith, hope and love.